Looking for a home improvement general contractor in St. Louis, Missouri? Look no further! Partner with Richmond Contracting, a residential and commercial improvement contractor dedicated to helping you realize your dreams and get quality results. Based in St. Louis, Missouri, we understand that remodels and repairs are more than a project – it’s part of a process that requires knowledge and craftsmanship. Our experienced team of employees meticulously implements our unique process to ensure that your finished improvement project suits your tastes, lifestyle and budget. Here at Richmond Contracting, we consider ourselves one of the best and most committed home improvement contractors in the St. Louis Area. Richmond Contracting offers a development process for most projects that include design-build contractor services, project planning, budgeting and detailed scope of work. Why choose Richmond Contracting? We will exceed your expectations. Richmond Contracting is a full service home improvement company which includes design, installation and integrity of service. We take pride in assuring your complete satisfaction. Our unique designs and successful projects have received outstanding customer satisfaction throughout the St. Louis area. 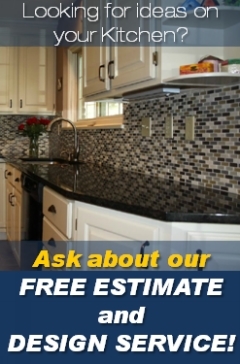 From kitchen remodeling or bathroom remodeling to basement remodeling; from room additions and expansions to wall changes to door replacements and general contracting services, our experience helps make your project enjoyable and rewarding. Ask for a list of our referrals and browse our website and learn more about our personal approach, contractor services and spectacular results.